Begin your journey towards successful investing today with these investing books for beginners. A while ago, I was stuck. I knew I wanted to invest, but I didn’t have a clue how to even begin, let alone make money. I saw adverts for investment companies all the time; on the television, in my favourite glossy magazines and on the tube. But all these ads featured people that just weren’t me. They were mainly men for a start. The women they did feature looked like they just had life sorted, you know? I started to feel like I was getting left behind but all I did was bury my head in the sand and think it was just something I’d sort out in the future. Until that was, I had a milestone birthday, and I decided to take stock. No one else was responsible for my financial future, I was. Turning 30 made me realise that I had to gain financial knowledge now, and not leave it for the future. So I decided to learn how to invest, and become financially savvy. Investing money isn’t the big scary, confusing monster I thought it was. And it won’t be for you either, if you arm yourself with knowledge. No matter how much you have to invest, once you start, you won’t look back. 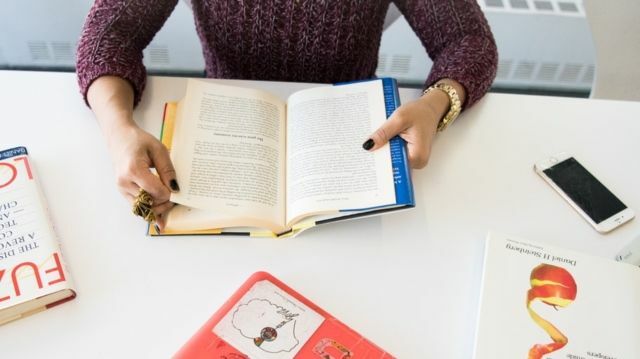 Following is a list of the investing books for beginners that I read – they all empowered me and taught me the skills I needed to start investing. I wish I’d read them all sooner! 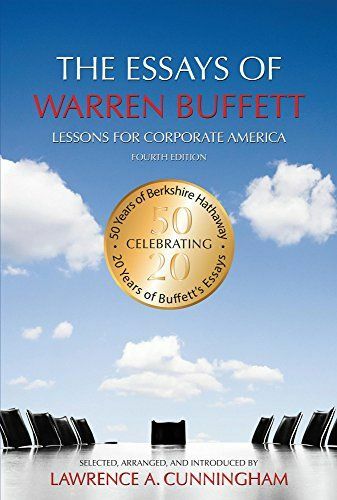 Full of wisdom from the world’s greatest investor, Warren Buffett, this book is a timeless classic. It gives valuable and crucial advice on investing and finance that is hard to find elsewhere. This book provides priceless information on investing wisely and what today’s best investment opportunities are. It’ll also teach you how to decipher financial information and how to value businesses to help you choose which ones to invest in. It’s ideal for new and experienced investors alike. This book is so insightful, it’s been given the nickname, the Stock Market Bible. Originally published in 1949, it’s still inspiring new investors, including me, to this day. Written by one of the greatest investment advisors of the 20th Century, it focuses on what author Benjamin Graham calls ‘value investing’. Value investing reduces your chances of making mistakes and instils long-term, sensible strategies for successful investing. If ever someone had a crystal ball, it’s Graham, for his sage advice in 1949 still draws parallels with the financial headlines of today. 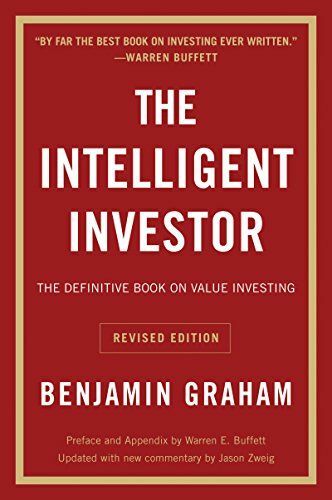 The latest version of this book has been updated by financial journalist, Jason Zweig, who makes it easier to apply Graham’s teachings to today’s stock market. 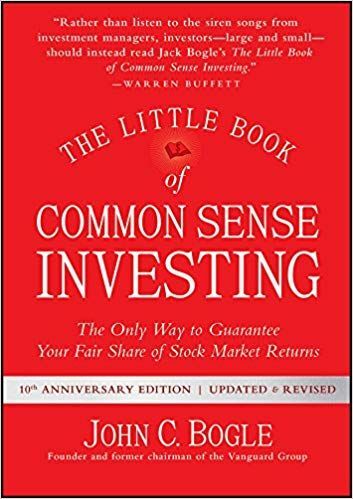 An absolute must-read investing book for beginners, this bestseller will teach you how to separate the companies worth investing in, from the ones who are not. How? By teaching you how to learn as much as you can about a company by reading its backstory. 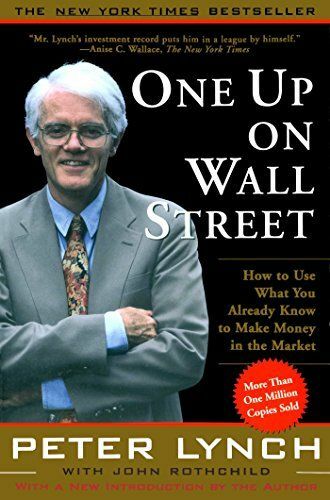 Instead of focusing on the ups and downs of the market, Peter Lynch believes instead on focusing on the roots and ethos of a company you’re interested in investing in. 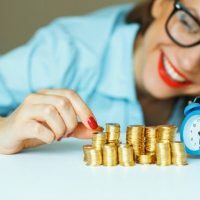 He encourages investors to look at smaller companies that you might shop in, or even the company you work for, for the kind of (above board) insider knowledge on company goals that Wall Street (or the London Stock Exchange) would love to have! Get stock market smart with this easy to follow book. John Bogle is a world famous investor and believes in the power of low-cost investing, especially good if you’re just starting out! He advocates building wealth over the long-term and teaches you how to buy and hold stocks at a very low cost. This strategy is powerfully endorsed by Warren Buffett and is the only route to guaranteed stock market returns. If you’re looking for an investing book for beginners that cuts through the noise and focuses on real world investing, then this one’s for you! Complex investing strategies are best left to the full time professionals. 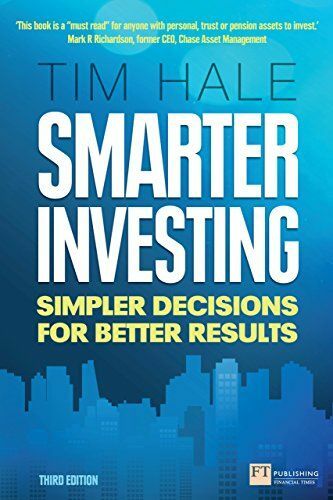 If, like me, you’d prefer to stick to a set of simpler investing rules that will lead to successful investing, then make sure you read this book. It’ll help you build an investment portfolio that truly benefits you and will even help you ride out a tough financial market. The goal of this book is to help you learn a few relatively simple rules, that you can then carry out forevermore and get the best out of your investment experience. What’s best is that it highlights the mistakes that investors before you have made, so that you don’t have to make them! Looking to invest smartly and gain financial independence, without having to become a ‘financial wizard’? Of course you are, and this book is for anyone looking to make money from investing wisely. There’s no such thing as a get rich quick scheme and this book will make sure you know that. It’s about financial literacy, and guess what? This book will make sure you know about that, too! 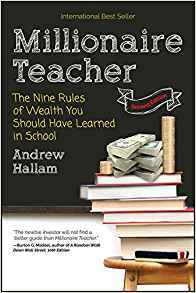 Think of Andrew Hallam as the finance teacher you never had at school. He’ll teach you the financial basics you need to build wealth and become financially literate. Rather than just telling how to invest wisely, this book also tells you why you must learn to invest wisely – doing so will give you a compelling advantage over many professionals in the financial world. 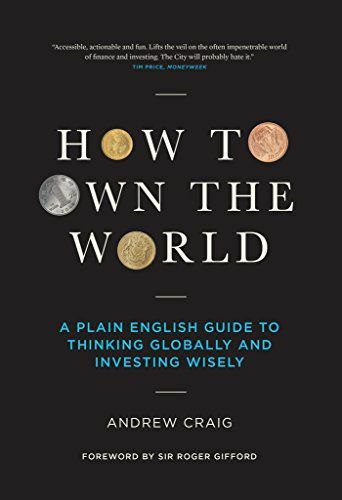 Full of powerful yet inexpensive ways to succeed, Andrew Craig will give you the tools to achieve the power of ‘compound interest’. Einstein described compound interest as the eighth wonder of the world, something I’m fully on board with! 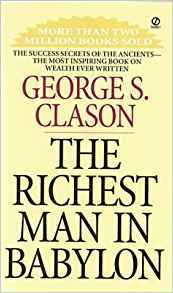 This classic read isn’t actually a book on investing, but it will change your mind set on saving and investing. 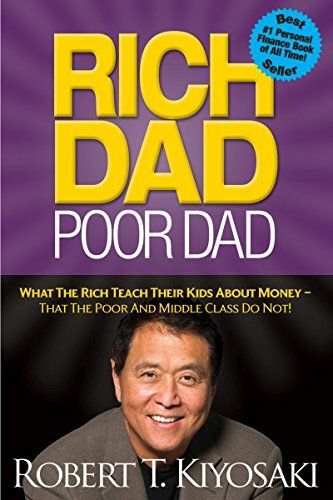 First written in 1997 it tells the real life story of how Robert Kiyosaki’s two ‘dads’ (one was his own father and the other, his rich dad, was the father of his best friend) shaped his view on money. Reading this inspiring book will make you realise that you don’t need to be a high earner to be rich. 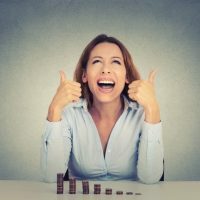 You’ll learn the crucial difference between making your money work for you, and you working for your money. Kiyosaki has updated the most recent version to include powerful insight into how his message from over 20 years ago is even more relevant today. He’ll also inspire you to pass this knowledge down to your children, nieces, nephews and other young people in your life. My final book isn’t strictly an investing book either, but again, it will reshape your money mind set. Taking inspiration from the ‘Babylonian parables’ this is a book of stories that will inspire you to become a better saver, and teach you how to properly financially plan for future personal wealth. It uses simple language and once read, it will guide you through a lifetime of financial success. 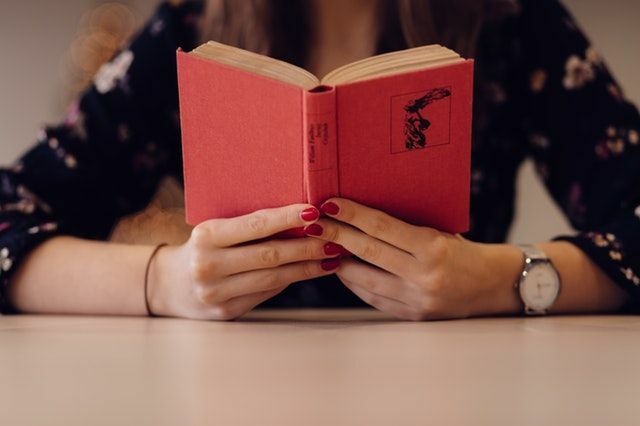 I truly hope you find the key to unlocking your investment savvy future, just like I did, from reading these investing books for beginners. What are your favourite investing books for beginners and why? Are you investing? You can start a regular savings plan from as little as £50, or with a £1,000 lump sum with Fidelity Investment ISA. It’s easy to access and you get valuable tax benefits that can help you make the most of your money. Hi Shella, thank you for taking the time to leave your comments. 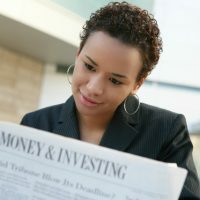 I am glad you are looking to invest and reading is one of the best ways to boost your confidence. Good luck.